Okay, you’ve ditched that old Exchange server in favor of Google Apps Gmail, as well as starting retraining users for Google Docs for Docs, Spreadsheets, and other business apps. No one said it would be easy. You’re probably the IT Hero, but only for a day. The Google Apps Marketplace is now 7 months old with hundreds of great productivity tools. It would be impossible to list them all, but some really deserve an honorable mention, especially the free ones. The beauty of not leaving your Gmail window can increase productivity. Otherwise, click on more for a unified login to these other services on the Apps Marketplace. Now that is one stop shopping. I am going to list 7 favorites that I have tried, tested and recommend. But I know in 6 months time, that 7 might change to 15, and they may not necessarily be the same vendors! Talk about Darwinism! Sure, Gmail has forwarding and filters in place. But the goal is to get you away form email hell. Enter Awayfind. You can forward a set of rules to another email or SMS. A lot of major worldwide carriers are supported, including the ever-expensive Italian telecoms. Sometimes I am waiting to hear from a very important client, but I don’t want to be constantly checking my Blackberry. By having the message notify me via SMS, I can respond to the client faster. 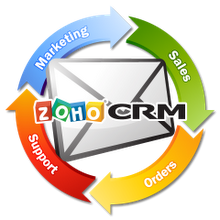 The handsdown winner is Zoho for a rock solid CRM. From within Google Apps mail, you can access Zoho without leaving the window. 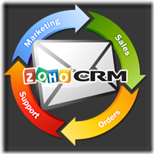 Conversely, you can send mail from the main Zoho window. For a small company of 3 users, I don’t know why people still buy off the shelf software for a CRM. Especially when it’s free. If you need a CRM with specific functionality, consider myERP.com (CRM and Sales Inventory), Batchbook Social CRM, or Insightly (CRM and Project Management). TripIt is like having a travel agent on staff. Except it’s free. I love the automation where you simply email them your itinerary, making sure it’s from the same email on file. (It can even scour your Google Apps Gmail inbox and auto-load your itineraries. By having your entire organization on TripIt, you know exactly where everyone is. You can even create other groups, such as family, or even your softball team. I do have one wishlist… to consolidate the reporting of my multiple airline points such as AwardWallet.com or MilePort.com, which are free. The TripIt Pro version costs $49/year. AwardWallet.com and MilePort.com also notifies you if your miles are about to expire or lose status. This makes a great excuse to be a travel runner and fly before Dec 15th, just for the points! Admit it, we’ve all done that once? Vertical Response was my old favorite but my new preference is now MailChimp because they offer a free account for up to 1000 subscribers. Free is good. If you have a previous opt-in list, you have one chance to add those users to your new list. Aweber forces you to have them re-opt-in, and you know what that means. Less than 50% will re-opt-in again, if you are lucky. Email marketing is the best way to reinforce your company’s brand, as well as notify your loyal readers on upcoming products and seminars. Box.net has integration with Google Apps, as well as synchronizing desktop files. But you’ll need to shell out $45 per month first (3 x $15/user/mo for the business version for 3 x 15Gb). Box.net does have a free version without the Google Apps integration. There is Salesforce.com integration, but only for the Enterprise edition, which also includes encrypted storage and transfer. You’ll have to call them to find out how much it is. Dropbox is another popular Content Management and Cloud Storage with users. 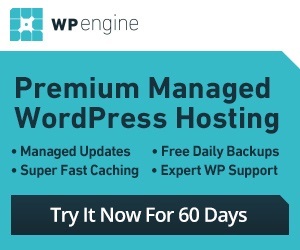 Free accounts start at 2GB and a paid version of $9.95 for 50GB. But it lacks integration with Google Apps (and Salesforce.com), at least for now. Watch out in 2011. 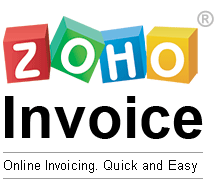 Like CRM, Zoho Invoice is free until you start needing more volume and functionality. At $8/mo, it’s a steal compared to other off-the-shelf software when you don’t need a full blown accounting system. There are a lot to choose from, and Smartsheet was the early winner. New Project management and Scheduling apps are being added every week.